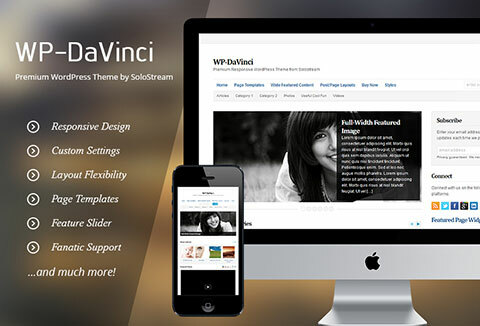 Create your very own masterpiece with WP-DaVinci premium WordPress theme. Everyone loves a good WordPress theme. But there are times when buying such themes can put a hole in your pocket. Today, we bring you a WordPress theme that is not just premium but totally free. 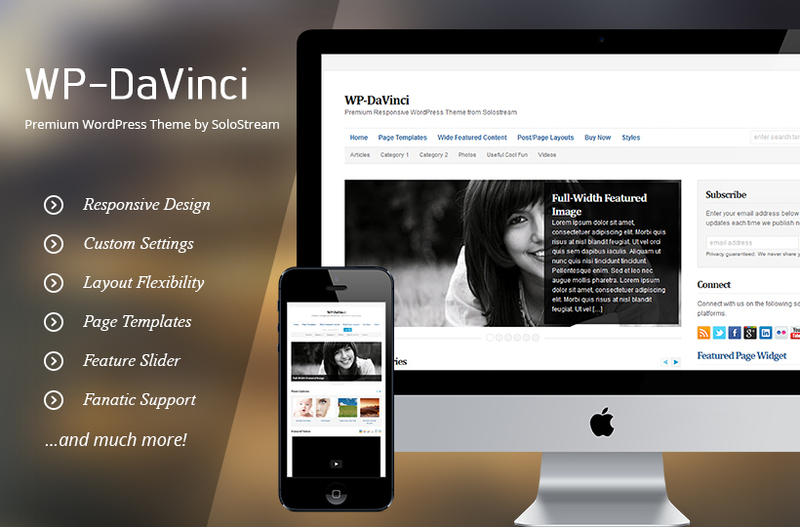 WP-DaVinci is a premium WordPress theme that is simple, elegant and at the same time flexible to work with. Whether you're creating a blog, a business website or an online magazine, WP-DaVinci's ingenious and numerous features will always be there to help you out. With this theme you also get 1 year of updates and support free of charge. SEO optimized theme: As an online business, the importance of SEO is inevitable. As such, this theme is designed for maximum search engine visibility. Quick and easy logo integration: Simply upload your logo via the WordPress dashboard, then add the file URL to the WP-PinUp theme settings page found in your WordPress dashboard. Custom settings: Make your site stand out from the crowd a range of custom settings. Theme will be available as an instant download. 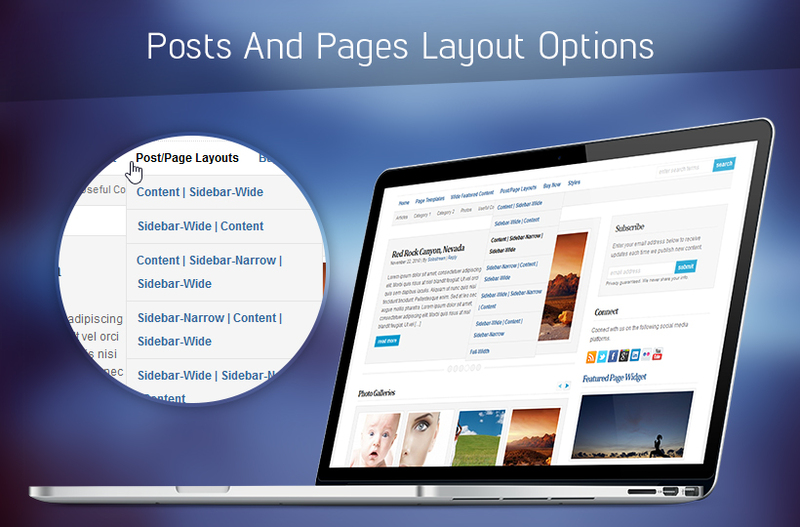 This theme is compatible with the latest version of WordPress. 1 year of updates and support included in this offer. Ready to grab this premium WordPress theme for FREE today? Have a look at the features of this theme and recognize it’s premium and you’ll come to the conclusion that it’s an amazing offer. Absolutely useful for commercial purposes!